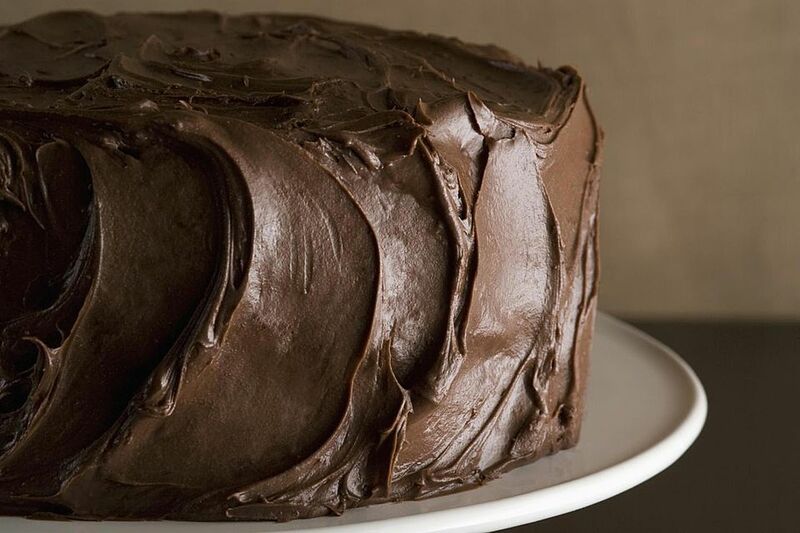 Make your own homemade cake mix, then make a chocolate cake from that mix. It's easy to make your own mix, less expensive, and good for you and you control the ingredients! This simple cake recipe is very chocolatey and very rich. Frost it with your favorite chocolate frosting or, for a switch, use a cream cheese frosting. This cake is perfect for a birthday cake, for entertaining, or just because it's Wednesday. Preheat oven to 350 F. Spray two 8" round cake pans OR one 13" x 9" cake pan with​ a nonstick baking spray containing flour and set aside. Pour one portion of the cake mix into a large bowl. In a small bowl, combine the cocoa powder and hot water; mix well. This makes the chocolate "bloom" and increases the flavor. Make a well in​ the center of the cake mix and add the vanilla, oil, eggs, and 1 cup milk. Beat the mixture for 1 minute with an electric mixer at low speed until blended. then stir in the cocoa mixture and the melted chocolate. Scrape the sides and bottom of the bowl and beat 2 minutes longer at medium speed until the batter is smooth. Pour the batter into the prepared pans and bake the layer cakes for 20 to 30 minutes, or until the cake springs back when pressed lightly in center and begins to pull away from edges of ​the pan. Bake the 9" x 13" cake for 25 to 35 minutes until the cake tests done.